Welcome to The Land of Fire and Ice, Iceland is known for its extreme landscapes from volcanoes to glaciers. If you are wondering whether to travel around Iceland in a clockwise or anticlockwise manner, my advice is to plan according to the weather forecast. I did my ring road in the anti-clockwise direction, it was random because I had to book accommodations in advance. I came across my fair share of good and bad weather. Check out my 10-Day Icelandic Road Trip with $1000. The ideal Ring Road trip is to get as much sunny days and clear nights as possible. This is so that the attractions can be enjoyed in the day and aurora borealis in the night. The objective is to align the clear nights with a strong KP index outlook. With that, the battle is half-won. Witnessing the aurora borealis is easy in Iceland because it is strategically located in the North. My favourite sites to get aurora and weather forecast are from Aurora Forecast for Europe and Iceland Met Office. They are pretty accurate, especially for predictions within 3 days. My trip was done around the middle till the end of September. I recommend the shoulder seasons because not only you get the chance to see the aurora borealis, the weather is much milder. The Ring Road covers around 2500km, including all the detours for attractions along the way. This amount will increase significantly if you plan to cover North-East Iceland, specifically Ísafjörður. Route 1 is the main highway to be on for this round island drive. South-Iceland is notorious for sand storms and remember to check the forecast before travel. Many roads are closed during winter, even during shoulder months. I encountered one road closure (F570) due to snow conditions at Snæfellsjökull in September. North Iceland is generally colder than other parts. Out of my 10 nights in Iceland, 9 nights were in Airbnb apartments. They usually offer a fully equipped kitchen with the whole apartment where you can cook your own meals, this is a plus if you do not want to dine out. I was traveling in a group of three and the average cost per night for one person was around USD40. There are not much Airbnb options out of Reykjavik so there is a need to book early. Otherwise, the options left are guesthouses and hotels which cost alot more. A more adventurous option is to go for camper vans where cooking essentials and bedding are provided. These vans usually cater for 2 pax or more. For my readers’ benefit, here is the list of Airbnbs that I stayed in. Icelandair is the main airline and they offer good prices when booked in advance. I paid USD180 for a round trip from London with 23kg check-in luggage included. I checked a closer date and found that the prices were almost double. Renting a car provides the best experience for exploring Iceland. The preferred option is to choose a car rental company that is within walking distance from Keflavik International Airport. Among the many notorious car reviews online, I found Blue Car Rental to be decent and it indeed, lived up to my expectations. The thing I like about this company is that their fleet usually consist of new cars. They upgraded me with a in-built GPS and a 4WD vehicle. I got a 2016 Kia Sportage with a 2.0 diesel engine. Diesel engines are more fuel-efficient and marginally cheaper than petrol. Most F-roads in Iceland only allow 4WD vehicles and rental companies do not allow 2WD to go on F-roads. I recommend to pay a little more for 4WD to enjoy more freedom with road options. My 10-day rental cost USD850 and I consider it a steal. Most places in Iceland, including gas stations accept credit card for payment. But some unattended gas stations only accept cards with a 4-digit PIN. Most European-issued credit and debit cards can be used at these gas stations. Credit and debit cards from Singapore do not work because they are usually issued with a 6-digit PIN. The option I found to be useful is to get a prepaid card loaded. There are various denominations to choose from, depending on the gas station. N1 is the most common around Iceland but is generally the most expensive one, hence I prefer Orkan. If you are staying in places with cooking facilities or having your own camper vans, there are a few supermarkets in Iceland to choose from. The most popular and wallet-friendly option is Bónus. But I realize that their opening hours do not go beyond 6.30pm. Krónan is a good alternative too. They usually have a bigger selection than Bónus for fresh meat. So plan your itinerary to visit one of these before the closing time. The more expensive option but operating 24/7 outlets is Hagkaup. If you are traveling the Ring Road, I highly recommend Síminn prepaid. It has one of the best signal coverage in Iceland. I was connected under 4G or 3G for more than 95% of the time, making me wonder how well Icelandic lines are laid all over this sparsely populated country. Prepaid lines in the US and UK usually do not have good connections outside of cities. I took the deluxe package which cost ISK2990 (USD26) for 100min of talk time, 100 sms and 1GB of data. I ended up not utilizing much of the the sms or talk time (well it was meant for emergency). Get on an earlier flight, either connecting from Europe or North America and try to reach before 3pm. That leaves you with a night to explore Reykjavik and start off fresh the next day. Do not miss out Bæjarins Beztu Pylsur which was covered by The Guardian as Europe’s best hot dog stand. Visit Hallgrímskirkja at night, it is one of Reykjavik’s most outstanding landmarks. Start the day by heading to Þingvellir National Park where the Earth’s tectonic plates meet. You have the option to go diving in between the plates at Silfra. This is the only place in Iceland where I had to pay for parking except for city areas. It cost ISK500 for up to 24 hours of parking access around the national park. I consider Iceland to be overwhelmed by tourism when parking fees are introduced at natural attractions. Continue on to Geysir and Strokkur where there are geothermal eruptions every few minutes. End the day by witnessing the impressive Gullfoss, add in Kerio Crater Lake if you still have some daylight left. There are plenty of shops and restaurants around. I chose to stay at Eyrarbakki which is about 15 minutes away by car from Selfoss because I found a cozy Airbnb loft there. Always have an umbrella or raincoat/waterproof jacket with you in Iceland. Continue on Route 1 and head to Seljalandfoss where you can take the trail that leads to the back of the waterfall. There is a nearby waterfall named Gljúfrafoss, which is about 400 metres away. It is much less touristy and definitely worth the walk from Seljalandfoss. There is an opening in the rocks where you can walk into the waterfall itself. It is a perfect for a Insta-worthy shot but be prepared to get wet. Complete the waterfall hat-trick by visiting Skogafoss. You have an option to head to the famous Sólheimasandur plane wreck to see the US airplane that crash-landed there in 1973. But the road has been closed recently, the only option is to park the car off Route 1 and take the 8km round trip to the plane wreck by foot. End the day with the gorgeous sunset at Reynisdrangar which is famous for the basalt sea stacks and black sand beach. There is a nice spot in Vik where the church is located to catch a nice view of the town. The Airbnb host at Vik highly recommended us to head to Fjaðrárgljúfur canyon. It became one of the most beautiful places of my trip. Both amateur and expert hikers will love Skaftafell National Park. It is located at the southern part of the magnificent Vatnajökull Glacier. There are plenty of hiking routes available, ranging from 2 hours to over 10 hours. Those that want to do some serious exploring can spend an additional night there. Carry on to Jökulsárlón Glacier Lagoon where you can witness one of the most beautiful places in Iceland. Hofn is known as the lobster capital of Iceland. From here, there is a beautiful view of the Vatnajökull Glacier. The fantastic driving scene through the eastern fjords starts shortly after leaving Hofn. The amount of cars and people reduce drastically as you continue eastwards because most people would have u-turned back to Reykjavik. You will be weaving in and out of the dramatic coastline with black sandy beaches. There are chances of reindeer passing on the roads so look out for them. Be sure to visit Seydisfjordur for its beautiful town, it is just located 30 minutes away by car from the capital of East Iceland, Egilsstaðir. I caught my first aurora in a farm cottage near Egilsstaðir that was booked through Airbnb, it was phenomenal. Stop whenever you like along the Eastern Fjords, every stop is beautiful. Time for huge waterfalls as you progress northwards toward Akureyki. Visit Dettifoss which has the largest volume of water flowing through in Europe, there is a side visit to Selfoss (not the city) from the same parking area. There are two sides of Dettifoss which are accessible by two different roads off from Route 1. When you have seen enough waterfalls, proceed to Myvatn geothermal area for Hveraröndor Hverir (mud pots) and nature baths. The mud pots have very strong sulphur smell and the surrounding gives you the feeling of being on Mars. Myvatn Nature Baths is much less touristy than Blue Lagoon and also costs lesser. Lake Myvatn is a perfect place to see the aurora borealis because the lake shows the reflection if there are aurora activities. This is absolutely beautiful on camera. After staying and moving everyday, consider spending two days at Akureyri, the capital of North Iceland. It is the second largest city after Reykjavik with plenty of things to do. Akureyri tops Lonely Planet’s list of ten best places to visit in Europe 2015. There are many nice restaurants here that serves authentic Icelandic food but they are much cheaper than in Reykjavik. Bautin has good reviews and I can vouch for it personally. The botanical garden is a nice place, especially in summer when everything is in full bloom. Akureyrarkirkja is the church designed by Guðjón Samúelsson which sits on top of a hill in the city. The same guy designed the famous Hallgrímskirkja church in Reykjavik. Book a whale-watching tour in Akureyki or Husavik which guarantees more than 99% chance of whale sighting. Take a long drive to the Snæfellsnes Peninsula with plenty to see along the way. The Vatnsnes peninsula has a few spots for seals watching and one of best is at Osar. Be prepared to get the car muddy because of the gravel mud roads for the most parts of this peninsula. There are water sprays with brush head at gas stations to make your job of cleaning the car much easier after. Always stop for shots because Iceland is really beautiful among the nothings. Do not miss out the close encounters with these Icelandic horses. You can see them just right off Route 1 in the farms. Depending on where you stay, you can do the Snæfellsnes Peninsula in a anti-clockwise or clockwise manner. Visit Kirkjufell, the most photographed mountain in Iceland. Along the same road, you can get to Kirkjufellsfoss and take that trademark waterfall plus mountain postcard shot. Afterwards, proceed to Snæfellsjökull National Park where the magnificent Snæfellsjökull Glacier lies. The road leading up to the glacier is usually open during summer but it was impassable due the icy pass, even in September. From the high point near the summit, there are good views of the nearby towns. This active volcano provided the setting for Jules Vernes’ famous Journey to the Center of the Earth. At the foot of Snæfellsjökull lies Djúpalónssandur, the sandy beach which was once home to fishing boats. Hellnar and Arnarstapi are both old fishing towns which have walking trails between them right beside the coast. Talk a walk and you will not be disappointed. For photographers, do not miss out the black church in Budir where you have the snow mountains as the backdrop. Head back to the lodging town and be prepared for the drive back to Reykjavik. The road ahead was covered with snow. The Sun Voyager is a good place to take pictures of the aurora borealis because the icon serves as good foreground. This is my itinerary so far, so readers feel free to amend it to suit your needs. I am happy to answer anything via Facebook page. Friends, you can just drop me a message. Meanwhile, I hope this post is helpful to future travellers to plan their Iceland trip. thank you for your post! It looks really like a beautiful trip! I was wandering in which period did you go? Thank you for the comments. I went in September which was the shoulder season. Roads were passable and weather was not too extreme. Hello! I’m heading to Iceland this December for roughly 9 days (2 days spent in Reykjavik because of the flight in and out). Do you think this would still be possible? it is definitely doable but you have to skip some attractions! Hi Bryan, I will be travelling to iceland on the end of september next year (9 full days) and your post gave me lots of ideas. I know this may sound silly but may i know if you are able to provide me all the airbnb link that you stayed? I am on a budget too so i would like to cook by myself and looking for some affordable accommodations that allow me to do so. Thanks in advance! Wonderful! I hope that you will get a chance to experience the beauty of Iceland. I have updated my post. 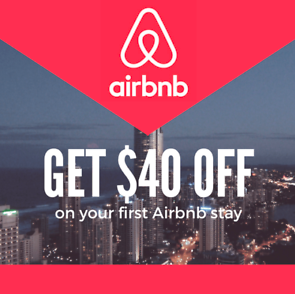 You can find the the list of airbnbs there! I’m travelling with a friend of mine to Iceland in mid-June and will be there for 9 days (arriving early morning, flying out late evening). Are there any adjustments you would recommend based on the season and what would you think would be a natural/the best thing to cut out with one less day? Good to hear that you guys are traveling to Iceland soon! Given the fact that mid-June is the period of the midnight sun, I’m sure you guys can cover more destinations if you squeeze in a little bit into each day. Hope it helps! Hi Jansol, thanks for approaching. Maybe you can start by refering to my articles on Iceland. I’m sure they are sufficient for planning. And if there’s anything you would me to help from there, it will be easier. Feeling excited about your trip! Thanks for the beautiful photos. Leaving for Iceland next month. Does supermarkets accept credit cards? Great blog ! Beautifully taken photos and well written. ! Thanks for the time spent reading and kind words! I read through your Icelandic posts, great and interesting one there! Honestly, nothing compared to yours especially in terms of photo quality. I’ve got a lot to learn from you! Amazing photos! I’ll have to keep this 10 day itinerary in mind when I travel there. Thank you for the time taken to read the article! Hopefully it will help you in the future. Hey!! Thank you so much for this post. I’m going to Iceland in June and I’ve been struggling to get organized. This is SOOOOOO helpful!!! And your pics are amazing!! Hey! Thank you for the post, definitely saved it as a reference for my trip next year 🙂 would there be a way for you to share in which airbnbs you stayed in specific? It is actually mentioned under the accommodation section of the blog post. Hope it helps in your planning! Hi Bryanspero. Do you book your accommodation in advance? It seems like you only stay in 5 airbnb apartments in your 9 nights, do you stay multiple days for some of them? Thank you! Yes please do book your accommodation in advance. Iceland is not your typical big cities where you choose the place to stay at. The rule stays if you book early, otherwise you would risk not finding a place for the night. I stayed at airbnbs for 1-3 nights, depending on how much time you want to spend to explore the area.